This sample pack is made by a sound designer who's sounds where used by Timbaland himself. Why Download Best Beware Loops? Finesse urban music production loops inspired by the work of Danjahandz and Timbaland. Featuring construction kits covering groovy acoustic multi-layered drum beats, analog processed synths, dirty analog 808 basses, special voice effects and other experimental sounds. 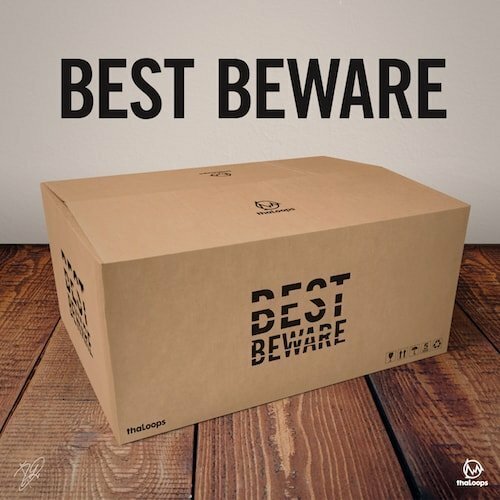 Using every aspect of our in-house producers’ techniques, “Best Beware” construction loop set stands for a warm, raw, analog hip hop sound. “Best Beware” loop set includes 122 individual loops of every instrument used in the beats and 59 one shot wav files of timbo kicks, snares, percussion, 808 and other effect samples. 32 bar full mix files of each construction kit theme are also provided. All of the loops and samples in this product are 100% Royalty- Free. You can use the loops in your commercial releases without having to pay any hidden costs. Download Best Beware Loops today!